Lamb Stew | Moroccan lamb stew is sweet, spicy, and fragrant. 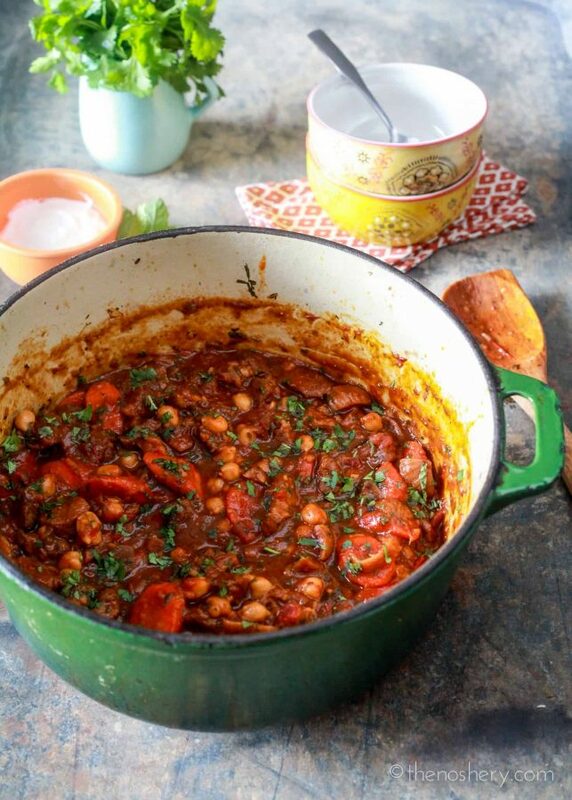 It’s a hearty and filling stew loaded with tender lamb in a harissa spiced sauce. It’s the perfect stew to curl up with on a cold day. If lamb isn’t your thing you can substitute beef or chicken. Cold weather is all about sweaters, hot chocolate, scarves, fires, and my personal favorite stew. There is something wonderful about a big pot of stew. It simmers on the stove top for hours letting the meat to become tender, the sauce thickens, and the flavors develop. Moroccan lamb stew warms my heart and my belly, it’s a thing of beauty. What’s in Moroccan Lamb Stew? 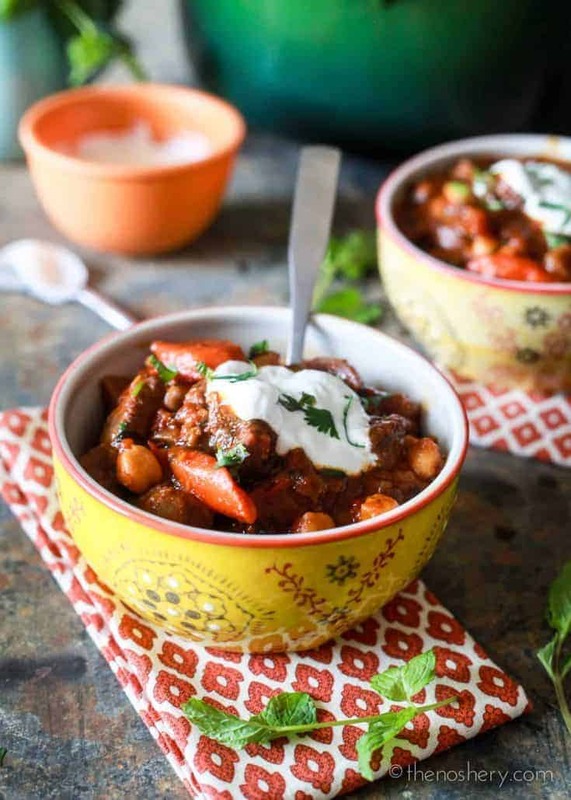 The great thing about this Moroccan lamb stew is that although it looks and sounds heavy the flavor profile gives it the illusion of lightness. It’s full of bright flavors like white wine, mint, cilantro, lemon zest and figs that trick your brain to think you’re eating something light. But, it’s still a stew! A stew full of lamb, carrots, and garbanzos in a tomato sauce. It’s kind of the perfect stew to comfort you during cold weather and provide an escape to a warmer day. One of the special ingredients in this Moroccan lamb stew is the harissa. 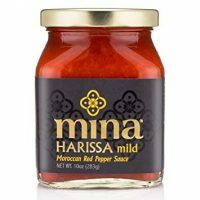 Harissa is a Middle Eastern chili paste made up of roasted red peppers, hot chili peppers and spices, and herbs such as garlic paste, coriander seed or caraway. The combination of the roasted red peppers and hot chili gives it a great sweet and spicy quality. If you have an appreciation for sweet and spicy flavors, then you will love harissa. Harissa can be found in specialty food stores like Whole Foods or sometimes in the international food aisle of your local grocery store. What is the Best Cut of Lamb for Stew? For this recipe, I used a boneless leg of lamb that I dice into cubes because it’s what I found at my local grocery store. But you can also use a lamb shoulder or any cut from the shoulder such as shoulder arm picnic, shoulder arm roast, blade roast, & blade steak. Cuts from the lamb shoulder are much less expensive than lamb chops, leg of lamb, or lamb roast. If you want a leaner stew you can use lamb rump or loin, however, because they are much leaner cuts the stew won’t be as rich but it will still be flavorful. What Can I Substitute for Lamb? If lamb isn’t your game or you want a less expensive protein, you can use beef or chicken instead. If using chicken, cut the cooking time in half. But, if you can make it with the lamb I highly recommend it, even if you have never had lamb! This is also a great dish to make ahead or freeze and serve later in the week. And, to be honest, it makes it even better because it gives the flavor more time to meld and become even more awesome. If you are looking for more soup or recipes ideas see my collection of soups and stews. If you are craving something a little lighter try this chunky roasted tomato soup. But, of course, everyone loves a classic sopa de fideo con pollo (chicken noodle soup). If you want something hearty and loaded with aromatics and spices you need to try this curried beef stew. If you are looking for more soup or stew recipes ideas see my collection of soups and stews. 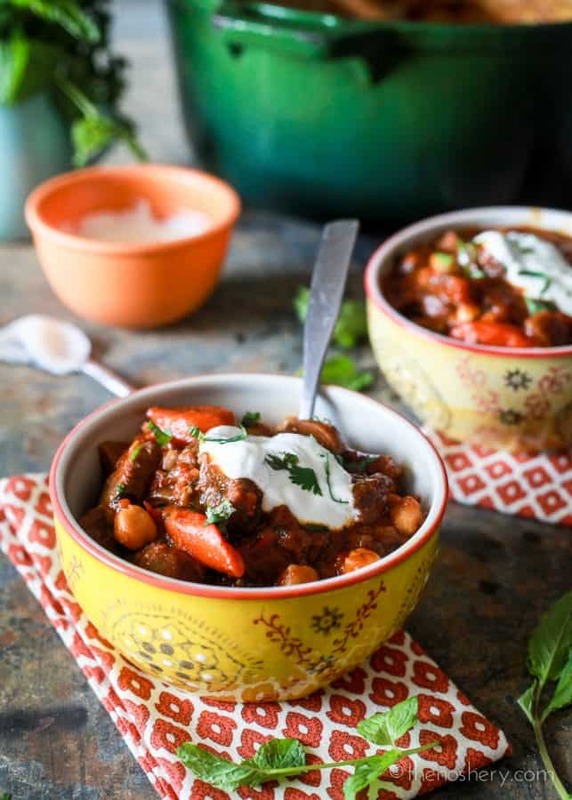 Sweet, spicy, and fragrant Moroccan lamb stew. A hearty and filling stew fit for fall with the bright flavors of summer. 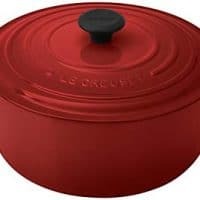 Heat a dutch oven or a large heavy bottom pot over medium-high heat. Drizzle with 2 tablespoons clarified butter, allow the butter to get hot, about 3 minutes. Add carrots, sprinkle with a pinch of salt. Cook until brown and caramelized, stirring occasionally, about 8 - 10 minutes. Transfer carrots to a plate. Combine flour, paprika, coriander, cumin, and salt. Stir until well combined. Toss diced lamb in flour mixture. Drizzle pot with 2 tablespoons of clarified butter. Working in batches brown the lamb and transfer to plate with carrots. Drizzle another 2 tablespoons of clarified butter to pot, add diced onions and ginger. Cook until fragrant, about 3 minutes. Pour in white wine to deglaze the pot, scraping up all the browned bits at the bottom of the pot. Add lamb, carrots, broth, harissa, lemon peel, figs, and tomatoes. Make sure there is enough liquid to cover the lamb. Stir and bring to a boil. Once it comes to a boil, lower to a simmer, cover and cook for 1 1/2 hours. (Stirring once or twice to make sure it doesn't stick to the bottom or dry out.) Add garbanzos, mint, and cilantro. Cover and simmer another 20 minutes. Remove cover and simmer until juices thicken about 10 minutes. If you want it thicker let it simmer longer. If too thick add a bit of water. Serve in a bowl with a dollop of yogurt and garnished with chopped cilantro and mint. Substitute - Lamb can be substituted with beef or chicken. If prepared with chicken cut cook time in half. Also, figs can be substituted with raisins. Lemon peel - Using a vegetable peeler peel off 3 strips. You do not want the pith (white) of the lemon. Harissa - Moroccan chili pepper paste. 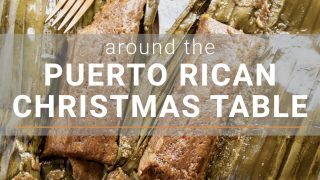 It can be found in specialty food stores and some international food aisle at your local grocery store. Looks delicious!! I am going to have to try this one soon. This is a FANTASTIC dish! We served it with slices of pita to scoop up the sauce. Friends of ours who visited Morocco brought us back some Harissa, in powder form. We decided to just add a small amount at first and season to taste after everything had simmered for a while. 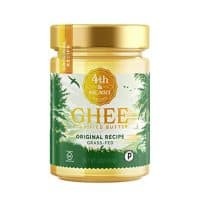 Our “small amount” was about 2 tablespoons and it made for a spicy dish–just right for us, but no doubt too much for some people. 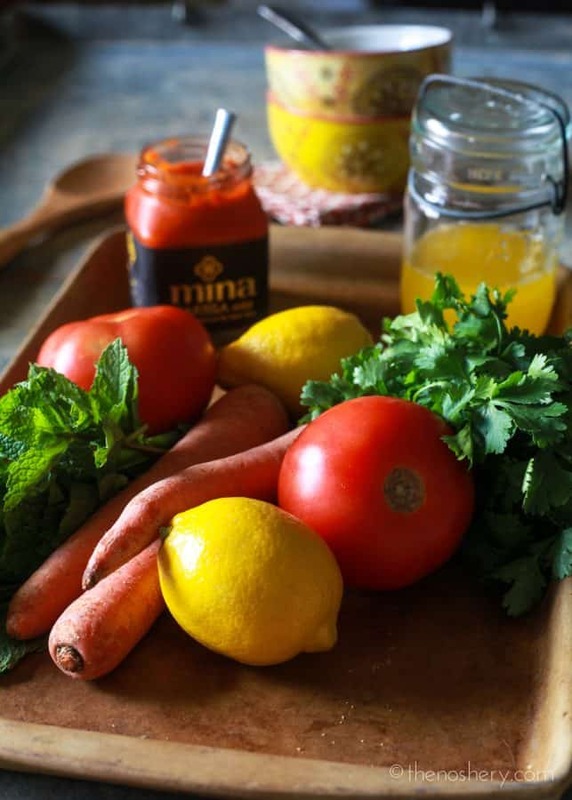 The recipe calls for 1/2 cup of Harissa! I have no idea what sort of Harissa that would be, but if we’d used anything even remotely close to that, of our powder, this dish would have been totally inedible! So be careful. Just add a small amount at first and taste as you go along. Getting it right is well worth it–our results made for an EXQUISITE meal! Looks delicious! Can this be made in a crock pot? Beautiful! Now I’m hungry and only this stew will do. That looks so good– and making me very hungry! I can not wait to make this. Lamb is my favorite protein and this looks so hearty and delicious. Pinning and stumbling. Pinning this for winter. I love lamb, and this looks (and sounds!) fantastic. I can just imagine the subtle heat the harissa must add. Comfort food at its finest. I’m still in serious summer mode here, we are having a heat wave and I’m loving every minute of it. But I do miss fall baking and cooking. Nothing quite like a stew. Especially ones as pretty as this one. This looks amazing! So saucy and delicious and comforting. One of my favorite things about fall is the food. I call it soup weather (stew is included in there). Your spice and veggie ingredients are amazing. Great recipe! This looks amazing! I have never tried lamb before, so I might use beef in this recipe as a sub. The pictures are gorgeous! My family is actually vegan… but this stew totally turned my head. I think I could easily adapt it, though I think I’d have to make the full lamb version for my mom . Lamb is her favorite and this would be such a treat for her. Hmmm… this just might make our Christmas Table this year!! Thank you! Not THIS is comfort food! 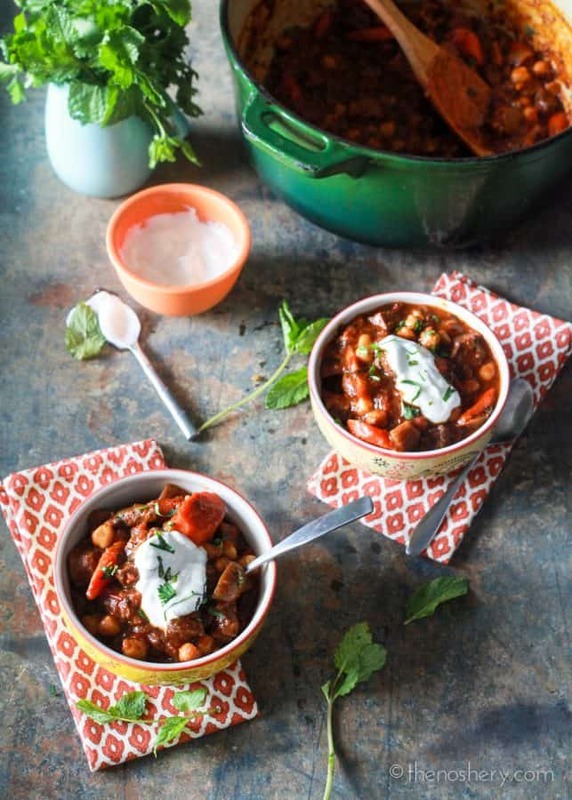 The only thing I’m looking forward to about fall right now is the food…especially comfort food like this stew! That looks absolutely amazing and i just love that green Dutch oven so pretty! That stew is magnificent looking and sounding. I can’t wait to try this myself!! My inner hippie lives very close to the surface, so I’d have no problem eating this right this moment! Of course, I’m a soup and stew year-round kinda gal, so… It’s absolutely gorgeous, too.